It has just now come to light that a few months ago, in Garland, Texas, 20 armed IRS agents swooped down upon a mom-and-pop bridal store owned by two elderly immigrants from Thailand and seized their entire inventory and equipment for alleged unpaid back income taxes. The designer dresses, valued at around $615,000 were sold for pennies on the dollar along with other assets such as sewing machines, a flat screen television, game console as well as the hat of Vietnam Veteran customer who had left it there to have some patches sewn on. The total net take for the IRS: around $17,000! As a result, this elderly couple is left destitute and out of business after 34 years of operation. The authority upon which the IRS relied in this robbery is 26 CFR (Code of Federal Regulations) 301.6335-1, “Sale of Seized Property.” Note that this is not a law passed by the national legislature (Congress), but rather is part of the 80,000+ pages of “laws” promulgated by an unelected bureaucracy (IRS) which has both written “laws” (i.e., regulations) – a legislative act, interpreted how to apply these “laws” – a judicial act, and enforced these “laws” – an executive act. Clearly no separation of powers as designed by our founders in the Constitution. Citizens of the United States are guaranteed the right to protection against such acts by our government: “The right of the people to be secure in their persons, houses, papers, and effects, against unreasonable searches and seizures, shall not be violated, and no Warrants shall issue, but upon probable cause, supported by Oath or affirmation, and particularly describing the place to be searched, and the persons or things to be seized” (4th Amendment, US Constitution). According to news reports, the IRS did obtain court authorization upon their presentation of an affidavit, but the broader question is “Was this ‘reasonable’?” If you read the complete set of guidelines of the CFR I referenced above, it appears the IRS violated its own protocols. Not only this, but in seizing some of the non-clothing items they seized items outside the court’s authorization, especially the hat that belonged to someone not involved in the tax dispute. If you or I do that, it’s called “theft of personal property” and we go to jail! What is more outrageous is the speed with which this was carried out. According to the CFR there is supposed to be at least a ten-day period between serving notice of the pending sale and the commencement of the sale; but if the IRS believes that the items to be seized are “in jeopardy” of losing their value, the items can be sold immediately without any further due process. 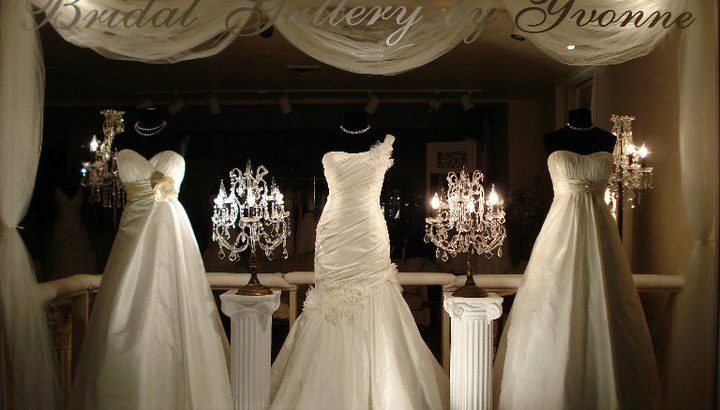 Designer bridal dresses “in jeopardy” of losing their value?? Seriously – weddings are going to cease and the dresses be of no worth unless disposed of immediately? Clearly this action by the IRS costs us taxpayers much more than what they recovered by the sale of these assets. Furthermore, the tax returns for the years in question indicate that the couple had a carryover of a net operating loss, and thus no taxes would have been owed. Also, a memo written by an IRS supervisor obtained via the Freedom of Information Act issued a directive to agents to “shut down this failing business.” If freedom is to be preserved, this insidious income tax and the agency it gave birth to must go. We are no longer free my fellow Americans. Unelected bureaucrats in these unconstitutional agencies (admittedly the IRS was created to enforce the 13th amendment) tell us what we can do with our property (EPA), what products we can produce (Dept. of Commerce), how much people must be paid by employers (DOL), how we are to obtain health care and related insurances (HHS), and how much disposable money from our earnings we’re allowed to keep (IRS). The government, via these bureaucracies, control our property, our businesses, our health and our incomes, and our representatives in Congress do nothing to stop them. You tell me – if the government controls these critical aspects of our lives (and there’s more), then how is it we can consider ourselves to be “free”? So now the whole world knows. In 2005 the Trumps paid $38 million in income taxes to the general government, or 25% of their taxable income. As we follow this “bombshell” dud in the news, pundits are assailing it on multiple fronts, but none are touching on the real problem with this incident. Most of what I’ve heard is how whoever leaked this return committed a felony in that tax returns are, by law, to be kept private unless the individual chooses to voluntarily make them known. This incident is used as yet another example of how there are those on the left are trying to undermine the new president and his administration. All of that is true, but that is not the real problem. Others have drawn comparisons of how much the Trumps paid in taxes compared to the percentages paid by others, especially those on the left to have attacked the president over how much he paid in taxes or whether or not he even paid any taxes. It has been rightly pointed out that the president paid an outrageous portion of his income in taxes – twenty-five cents out of every taxable dollar he earned. This illustrates how counter-productive any income tax system is, namely it punishes success and productivity. From an economic standpoint and the principle of individual freedom as enunciated by the British political philosopher John Locke in the 17th century, this is a problem, but again, it is not the real problem. Some commentators have rightly stated that this leak and it’s intended purpose of discrediting the president is illustrative of how dangerous it is for the government to have such information on us and how someone who has something against us can then use that information in an attempt to destroy our lives. This is getting close to the real problem with the president’s tax return, but it is not the real problem. 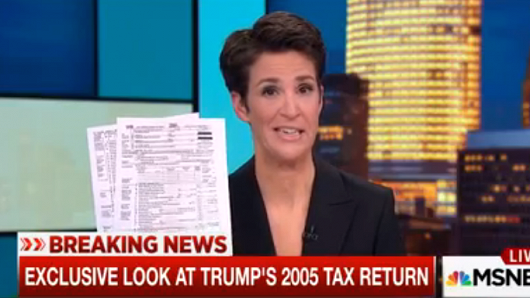 The real problem with the president’s tax return is that the government has possession of that information to begin with. Think about it. Last week I wrote about how the government is violating our fourth amendment rights (Badges? 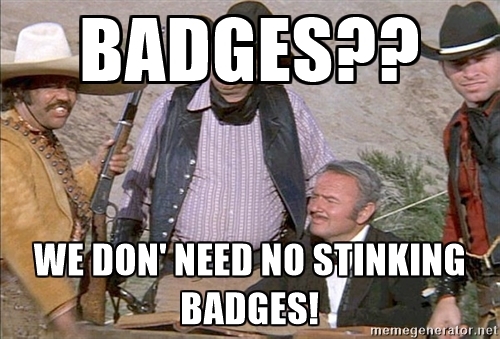 We Don’t Need No Stinkin’ Badges!) by collecting all of our communication data, but on our income tax returns they capture how much money we earn, perhaps what we spend it on, the status of our health (depending upon our medical deductions), our business dealings and investments, and much more, and they have been doing so since 1913 when the 16th amendment was added to our Constitution. This real problem with President Trump’s tax return is the same as with yours and mine – the government’s access to all sorts of our private information. Underlying this real problem is that which gives the government this access, namely the 16th amendment. 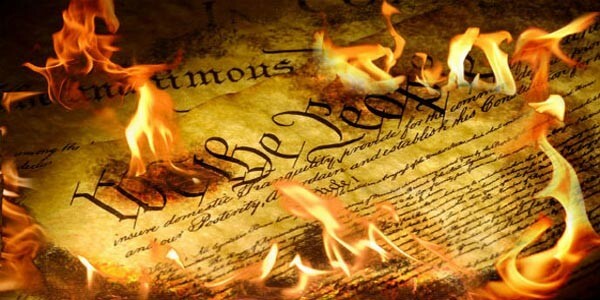 If those pushing to amend our Constitution were really serious about restoring individual freedom and our liberties, repealing the 16th amendment would be one of their top three priorities (but more on that next week). Remember that line from the classic movie “Blazing Saddles”? Well that could now easily be the new motto of the United States, replacing the old and tired E Pluribus Unum. With the latest uproar in the war between President Trump and the leftists over whether or not his campaign and his administration was secretly wire tapped, many who were asleep for the past few decades are learning (or should be) that our government has to power to know everything about each and every one of us, whether warranted or not. In case you were not aware, the Foreign Intelligence Surveillance Act of 1978 created a secret court system that was designed to issue warrants allowing government agencies to use electronic surveillance on foreign powers and those suspected of spying for them within the United States. In December 1981 President Reagan signed Executive Order 12333 that was intended to expand the flexibility of US intelligence agencies in gathering their data and sharing it with other agencies. It has since been amended and expanded by subsequent executive orders signed by President George W. Bush. This law and the courts it established, along with these executive orders are now the backbone upon which the National Security Agency today collects data on all citizens with or without warrants. Just before he left office, President Obama authorized the NSA to open up its treasure trove of data on us to a host of government agencies. Let’s analyze this amendment against the backdrop of what I’ve shared above. We have the right to be “secure”, that is protected and kept safe from. Our persons, which would mean our bodies and any information pertaining to us. Our houses, hence the notion of our homes being our “castle”. Our papers, meaning anything we might write or communicate in any form or fashion, including electronic communications. Our effects, which would include any kind of possessions we have. We are to be secure against searches and seizures of these items that are deemed to be “unreasonable.” What is unreasonable is defined by what follows. Not only this, but the warrant must be specific – no blanket, open-ended, generalized warrant is permitted. The places, individuals and things that have been sworn to be reasonably suspected to be a violation of the law must be named; without this specificity, any search and/or seizure is again “unreasonable.” Yet our government today is gathering all of our communication data and transactions either with a broad generalized warrant, or no warrant at all. When it comes to the law, governments are charged with the responsibility of ensuring that justice is served, which can only be done when the law protects us from lawbreakers, enemies, and yes, even our own government. Our government may say “Warrants? We don’t need no stinkin’ warrants”, but our Constitution that created it says differently. Fast forward to the administration of the “revered” Abraham Lincoln. 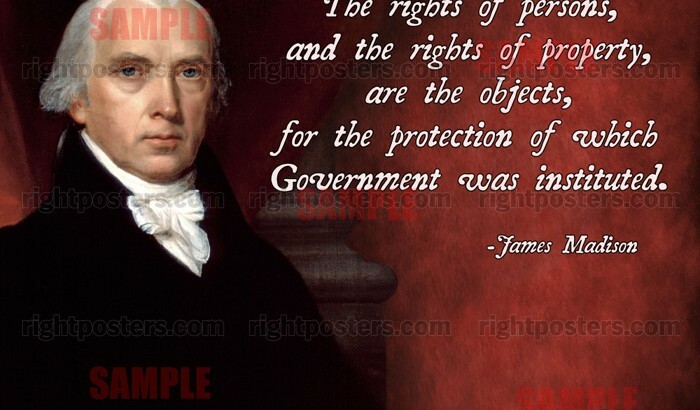 You may be shocked to learn that the great champion of liberty repeatedly trampled on the Constitution and the freedoms guaranteed in the Bill of Rights. 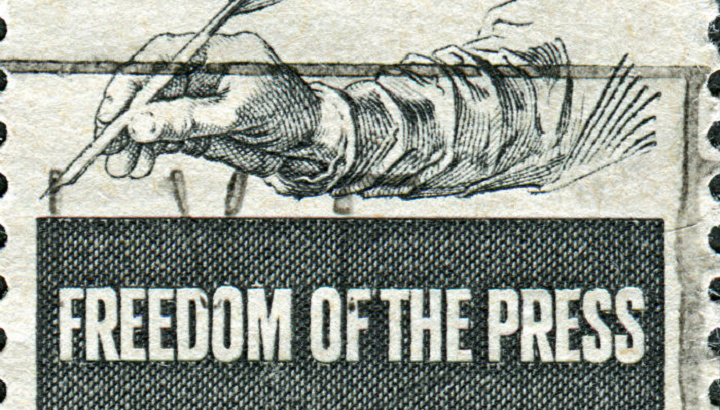 In regards to freedom of the press, he did tolerate criticism of himself and his policies, but only to an extent. For example, in May 1864, two newspapers in New York, the Journal of Commerce and The World, ran a fake news story that Lincoln was going to issue a presidential order to draft 400,000 men into the army. Lincoln ordered the two papers shut down and the publishers arrested and imprisoned. 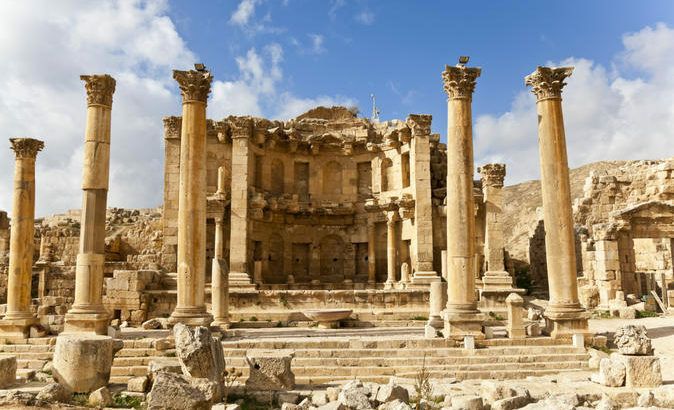 In addition, he had the agency that had transmitted the story, the Independent Telegraph System, shut down and its property seized by the military. Yet today, because President Trump calls out the media for its failure to live up to its obligation to honestly report the news, or does not call on certain media outlets for questions in a press conference, he is excoriated by both the press and the progressives in Congress who are calling for his impeachment because they claim his actions make him an enemy of the first amendment. Those individuals are simply showing their hypocrisy and ignorance of history and an understanding of constitutional principles. There are many other examples I could give in addition to the two I have provided above, but clearly President Trump’s criticisms hardly reach even the hem of the garment of the examples I cited. And that presidential quote I began with? It was part of President Thomas Jefferson’s second inaugural address. You see, the more things change, the more they remain the same.